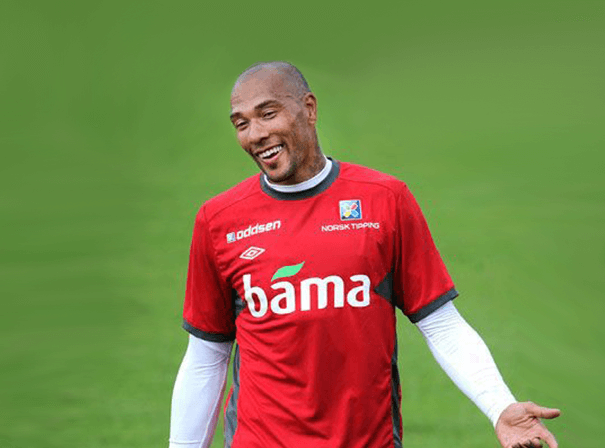 Throughout a successful 13 year career, Norway’s John Carew has left his mark on the international world of Soccer. Following retirement from the sport, the much loved personality is now pursuing a career in acting that has already seen him perform in two feature films that were released in summer 2014. Now living between London, Miami and Oslo, John is a committed Christian and dedicated contributor to youth and hospital charities both in the UK and Norway and has also set up his own charitable foundation in Gambia. During his Soccer career, John played for domestic teams in his home country as well as in Spain, Italy, Turkey, France and England and made an impressive 427 club appearances, scoring 150 goals in that time. He played for teams such as Valencia, Rosenburg, Roma on loan, Besiktas, Lyon, Aston Villa, Stoke City on loan and West Ham United until 2012 when he retired. On top of that, he also turned out 91 times for his country, Norway (as well as playing for them at all youth levels before that and being the first ever black player to turn out for the country), and as such is the fifth highest capped player of all time. Whilst playing for Norway, John scored 23 goals and was a firm fan favourite as a result. Should you wish to have John Carew inspire a young audience, motivate a business conference, act as a an ambassador for your brand or appear in your film, please contact MN2S talent agency today.